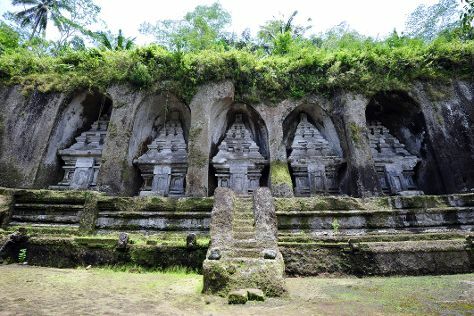 Situated about 18 km (11 mi) east of Ubud, Tampaksiring represents one of Bali's first pre-colonial kingdoms, and also houses one of the biggest and most important temples in the whole of Indonesia. A trip to Tampaksiring offers the chance to survey the town's deep historical and spiritual heritage. Locals and tourists alike flock here to see ancient sites as well as be cleansed in the purifying waters of the temple. Tampaksiring is in Gianyar Regency. To arrange what you want to do in Tampaksiring, use our Indonesia route tool . Tampaksiring's small size means rather limited accommodation options; however, looking at the rest of central Bali or even Ubud, 18 km (11 mi) to the east, will prove more fruitful. Ubud has a large array of lodgings to suit a range of budgetary requirements, from the affordable and midrange, to the luxury four- and five-star. The most budget-friendly option remains the family-run guesthouses, or homestays, offering clean and basic rooms--perfect for backpackers.